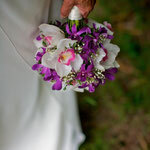 Hanamana: Miracle - Website of halatropicalflowers! 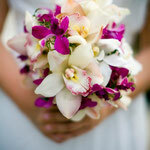 True love is a miracle. 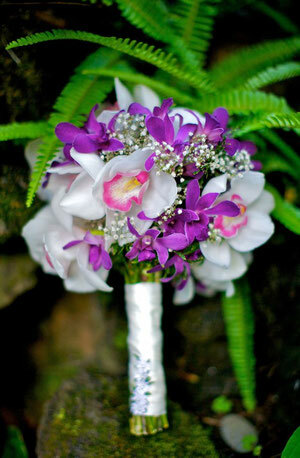 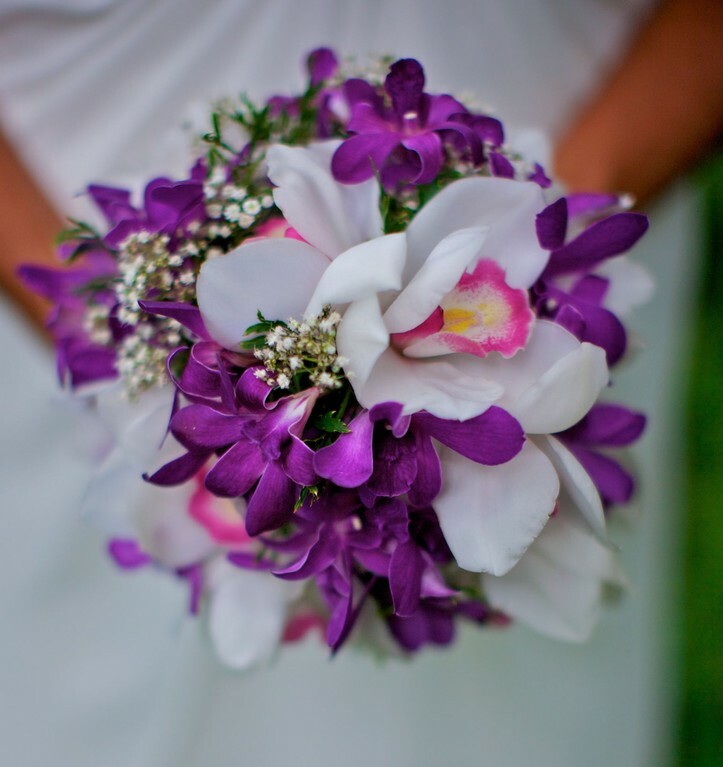 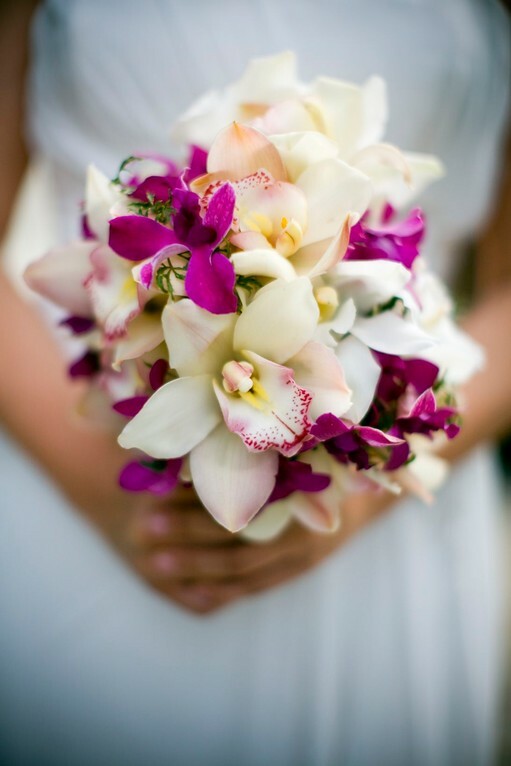 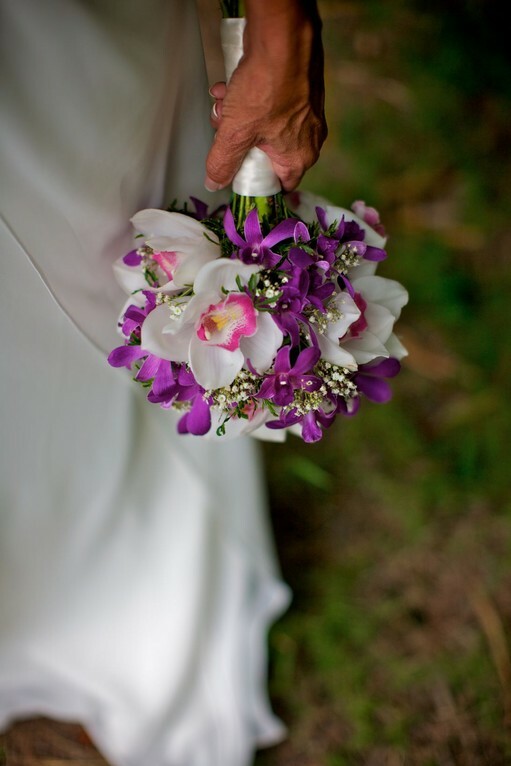 Deep shades of purple dendrobium orchids, white cymbidium orchids with a pink throat, babies breath, and Hawaiian fern.